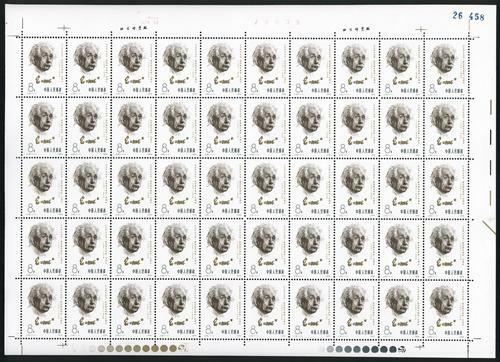 1979 J36 Centenary of the Birth of Albert Einsteinin in sheets of 50 x 2 (Scott 1468), totally 100 stamps. Fresh MNH. Very Fine.